I am self proclaimed girly girl. I adore things that shimmer and shine, make-up and heels. When I was younger, people would use the term ‘girly girl’ as if it was carried some sort of negative connotation. In their tone, you sensed that being a tom boy made you a stronger, smarter, more desirable woman. In my old age I’ve realized that is simply ridiculous. Women come in all shapes and sizes, all levels of estrogen. One is not worth more or less because of their desire for pretty things, or for that matter, the lack of . Truth be told, there are still women today that use that same tone as they critique my shoes, or clothes or whatever they choose to voice. My response? I laugh, flip my hair and hope my tiara blinds them before I walk away. The only time I think it may be better to be a man is when I have to use the porta potty. Standing could be an asset…. 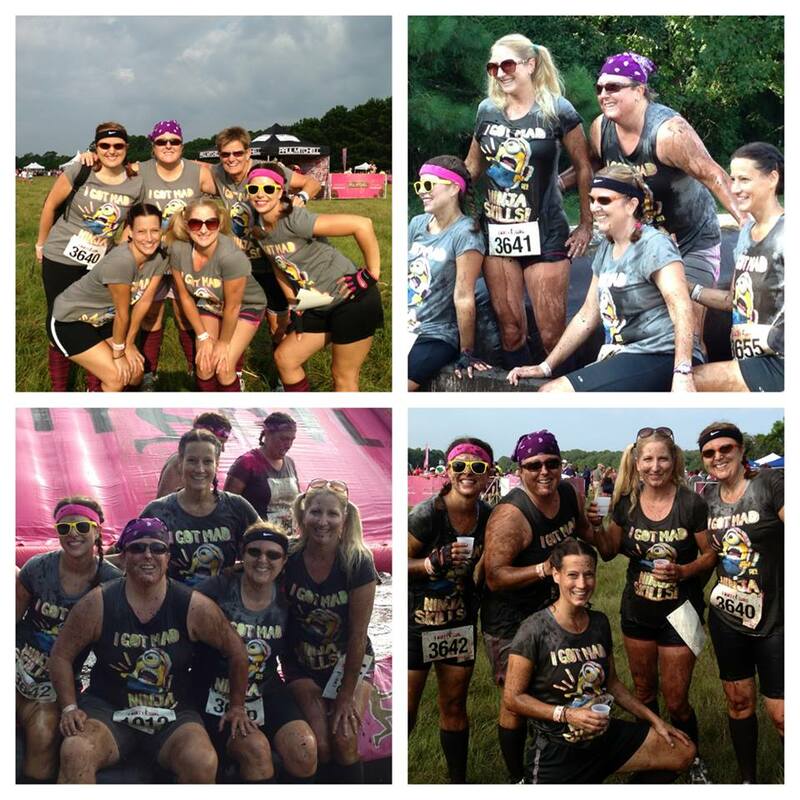 This weekend I had the pleasure of hanging out with a fantastic group of women to play in the mud. HUH? Yep, it was a 5k with 10 obstacles. The goal was to get as muddy as possible and laugh. We met and exceed the goal! When I agreed to do the run I was scared. Scared I wouldn’t be able to complete the course. Scared of what it would entail. Scared of mud in awkward places…In the end I decided to give it a go. What the heck, right? I’ve reached the age where life is comfortable. The down side is this also comes the risk of becoming stagnant. If I don’t branch out, I’m apt to be stuck in the same comfortable, pink silk lined box that I’m used to. Yes, it is pretty and soft in there. However after a while, even the prettiest of things can become mundane. I’m ready to discover what I can do. I’m putting fear in its place. In a cardboard box of its own, tightly wrapped in duct tape, placing it on a high shelf that can not be easily reached. Win, loose or draw, I’m going for it. 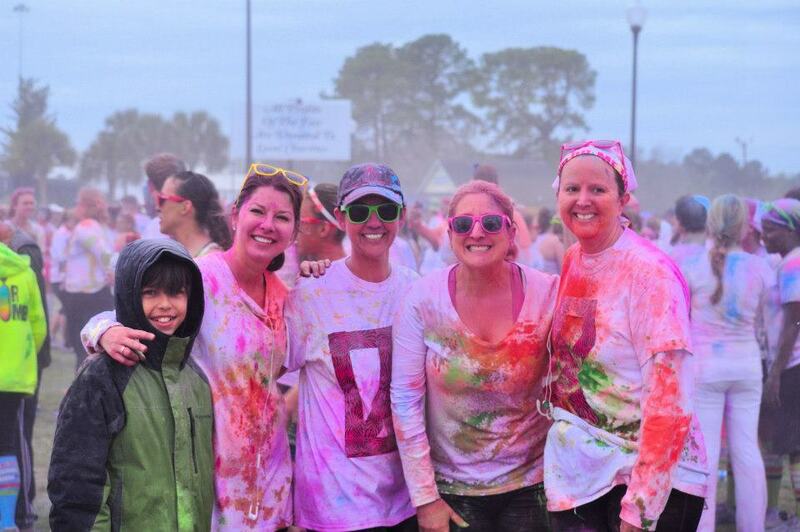 A few months ago, I ran the Color Me Rad 5k run with some of these same ladies. We ran while they pelted us with colored cornstarch. And we laughed….I laughed so much that I had purple teeth at the end. We are now planning our next run and I can’t wait! We didn’t start 2013 with a running goal or a plan to have a running team. Some how it ended up that way. In fact, we are not true runners…At least I’m not. I keep trying but I stink at it. I secretly hope one day I’ll magically wake up a runner. Yet, by the time this year is over, we will have at least 3 organized 5ks under our belt. It is funny how quickly your world can expand, if you are open to change and allow yourself the freedom to try. Reflecting on the weekend, I am simply amazed that I have such wonderful women in my life that are willing shed their comfortable Saturday for a day in the mud. We supported each other, clapped and cheered. We laughed and giggled and whooo-hooo’ed. In a world where people are so critical of each other, (especially women) it was nice to spend the day with those that had no other objective but to have fun. “And I took the one less traveled by, and that has made the difference”. I so appreciate all of the wonderful ladies in my life. Each one is unique and has made a difference in who I am. Keep challenging yourself ladies!